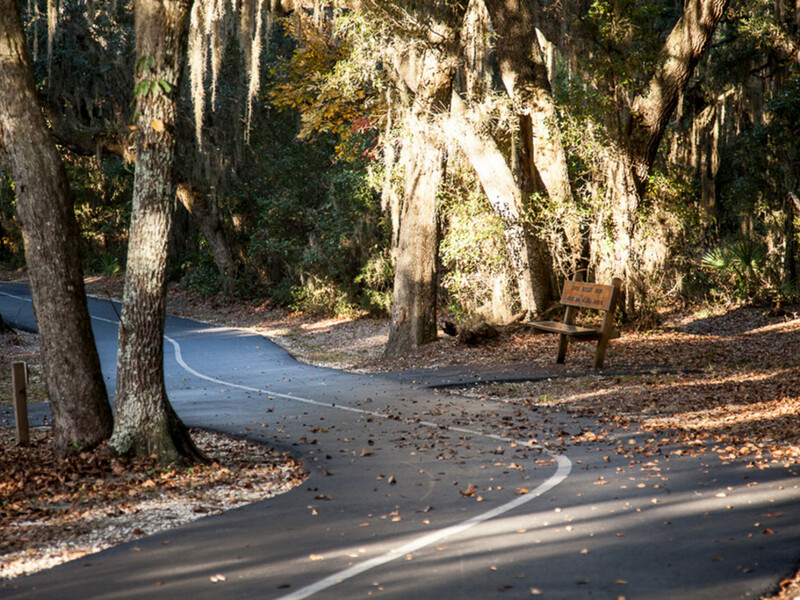 A system of several paved level trails connecting Gulf Shores and Orange Beach through the Hugh S. Branyon Backcountry. Although this is not a complete loop, the trails together provide over 17 miles of cycling. 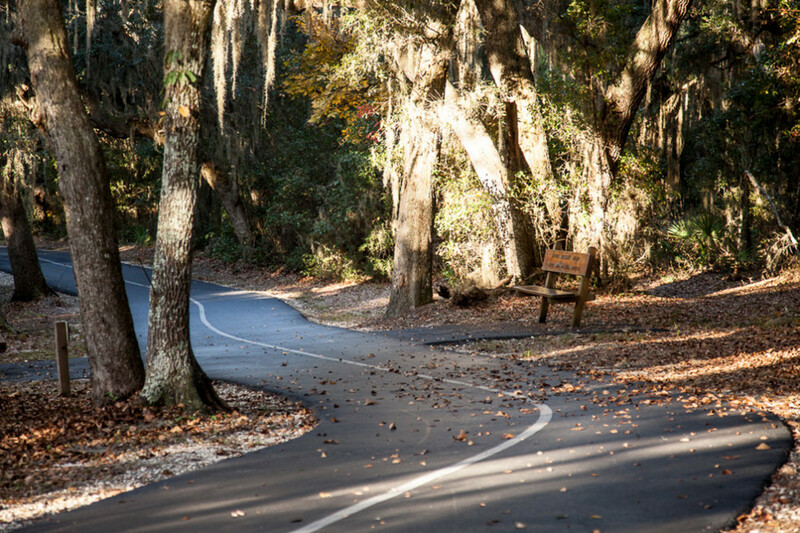 The Hugh S. Branyon Backcountry Trails is made up of 7 paved level paths that give cyclists the opportunity to ride through both Gulf Shores and Orange Beach. Rambling through some 6,150 acres of the Gulf State Park, this trail is ideal for a day of cycling. Although it is not a complete loop, but a series of trails connected, there are several entries for convenient rides wherever you are along the Alabama Gulf Coast. Restrooms and water fountains, along with benches, swings, and picnic areas, keep cyclists refreshed to explore all the backcountry trail system has to offer. With the dense foliage and towering pines, cyclists will forget that they are in the middle of a heavily populated tourist destination. Peaceful and tranquil, this ride is invigorating. There are several parking areas and entrances into the Backcountry Trails and isn't limited to a few spaces, a great advantage to it's central location. Coyote Crossing, the newest edition to the trail system, connects to the Fort Morgan Bike Trail for an even longer ride from one tip of the island to the other. The Backcountry Trails are family friendly and are an easy but lengthy ride. Younger riders and those young at heart will appreciate the well maintained level paths. The wide trails make it easy to maneuver around others and visibility is good along all the paths, no overgrowth blocking or overhanging along the way. Directions to the Coyote Crossing and the Gulf Oak Ridge Trail begins from the intersection of AL 59 South, (or Gulf Shores Parkway), and AL 180 East Fort Morgan Road Trail/Alabama Coastal Connection. Traveling 0.3 miles along AL 180 East Fort Morgan Rd. toward 1st Street, continue onto AL 180 East/Alabama’s Coastal Connection for 0.3 miles. Taking a slight left onto Fort Morgan Rd. for 0.1 mile. Take slight left onto Fort Morgan Rd./State Park Rd. 2 for 1.4 miles. Parking will be to the left. Regulations: Leashed pets only, opened from Dawn to Dusk. Leave no Trace policy.